> Pet Marker: Grey Granite 12"x8"x2"
Pet Marker: Grey Granite 12"x8"x2"
Size is: 12" x 8" x 2"
Mayes Memorials, located in Centre County, PA, offers pet memorials crafted from natural granite, bluestone and black granite. 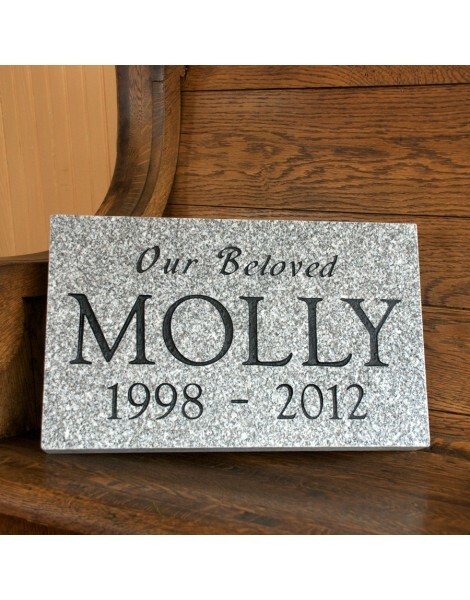 Mayes Memorials, located in Centre County, PA, offers pet memorials crafted from natural granite, bluestone and black granite. 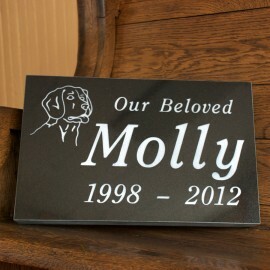 Our beautifully designed pet markers are a tasteful and affordable way to remember your beloved pet. 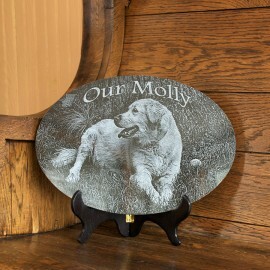 Whether you're looking for pet memorials, pet markers, pet grave markers or pet headstones, the staff at Mayes Memorials can help you customize the perfect memorial to remember your best friend. 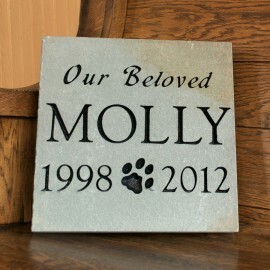 Please include all information you would like on the pet marker. 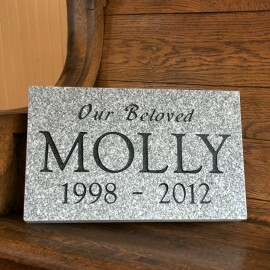 Pet Marker: Grey Granite 10"x6"x2"
Pet Marker: Grey Granite 16"x10"x2"
Pet Marker: Black Granite 10"x6"x2"
Pet Marker: Black Granite 12"x8"x2"
Pet Marker: Black Granite 16"x10"x2"
Pet Marker: Blue Stone 12"x12"
Pet Marker: Blue Stone 12"x18"
© 2014 Mayes Memorials. All Rights Reserved. Designed and Developed by 3twenty9 Design, LLC.